Mowlana Sultan Mohamed Shah's first trip to Europe. In London Mowlana Sultan Mohamed Shah met Queen Victoria who honoured and conferred the title of K.C.I.E. (Knight Commander of the Indian Empire) in recognition of the valuable services to the State during the riots, famine and plague in India. At a dinner at Windsor Castle, Mowlana Sultan Mohamed Shah was seated at the right of the Royal Queen. Queen Victoria received Mowlana Sultan Mohamed Shah graciously at Windsor Castle and sat him beside her in the seat reserved for the highest religious head in the country. This signal honour occasioned great surprise, as no foreigner had been shown so much respect before, and was given wide publicity in all the great cities of Europe. He answered many questions about the famine and plague in India and was given a respectful hearing by a distinguished company. Spring 1898 - Mowlana Sultan Mohamed Shah's horse Jeddah, won the Epsom Derby (100 to 1 odds) - the first win for the colours of the Aga Khan. He also met King Edward at this race who conferred Mowlana Sultan Mohamed Shah with membership of the exclusive Marlborough Club. June to September 1899 - Mowlana Sultan Mohamed Shah visited the Jamats of Zanzibar. He made many Farmans for the worldly and spiritual betterment of Ismailis. Mowlana Sultan Mohamed Shah first visit to Africa. Sultan of Zanzibar awarded him the title of "Brilliant Star of Zanzibar". Mowlana Sultan Mohamed Shah also met Shah of Persia who bestowed on him the title of "Shamsul Humayun"- "Star of Persia"
Mowlana Sultan Mohamed Shah was awarded the title of "Star of Turkey" by the Turkish Government. February 1900 - Mowlana Sultan Mohamed Shah visited the Jamat of Sind Hyderabad. April 4 - 19, 1900 Mowlana Sultan Mohamed Shah visited the Jamats of Jamnagar, India. Mowlana Sultan Mohamed Shah visited Burma for the first time. Mowlana Sultan Mohamed Shah attended the coronation of King Edward VII and met him thrice privately. Mowlana Sultan Mohamed Shah gave a Presidential Address to the All India Mohammadan Educational Conference in Delhi. He spoke about the advantages which the Muslims of India possess, and the necessity of schools to teach the youth, both male and female the Faith and modern secular science. Mowlana Sultan Mohamed Shah was nominated to the Imperial Legislative Council of India and he also acted as the Chairman of the Reception Committee of the All India Moslem Education Conference. March 25, 1903: Mowlana Sultan Mohamed Shah gave a Budget Speech in the Council of the Governor General in Calcutta. During the speech, Mowlana Sultan Mohamed Shah mentioned the burden created by the salt tax, income tax exemption and the vast majority of Indian children not receiving elementary education. October 1903 - Mowlana Sultan Mohamed Shah visited the Jamats of Surat, Ahmedabad, Siddhpur, Vadvann Camp, Rajkot, Gondal between the 12th and 31st of October. November 1903 - Mowlana Sultan Mohamed Shah visited the Jamats of Manjevdi, Jamnagar, Cutcch Mundra, Cutcch Bhadressar and Cutcch Nagalpur between the 1st and 29th of November. December 1903 - Mowlana Sultan Mohamed Shah visited the Jamats of Cutcch Kera on the 1st and 2nd of December. March 30, 1904 - Mowlana Sultan Mohamed Shah gave a Budget Speech in the Council of the Governor General in Calcutta, where in He mentioned India to be alert and to be prepared and he also mentioned the importance of instituting an Imperial Cadet Corps. Mowlana Sultan Mohamed Shah also gave a speech at the Muslim Educational Conference in Bombay. After welcoming the delegates, he mentioned the significance of the conference and among other topics, he also mentioned the pessimism in the Muslim world. 1905 - Mowlana Sultan Mohamed Shah visited Africa and stayed in Zanizibar for 29 days. Imam brought with him the owner of Sarswarti Press, Mr. Vithaldas N. Suratia to write the Farmans. Mr. Suratia later published Farman books. In the Farman book No. 15A, Mr. Suratia gives a detailed account of the Zanizibar visit. According to these details, Imam was in Zanzibar for 29 days when the first Constitution of the Jamat was prepared and ordained. April 3-5 1905 - Mowlana Sultan Mohamed Shah visited the Jamats of Gwadar, India. August - November 1905 - Mowlana Sultan Mohamed Shah visited the Jamats of Zanzibar, Nairobi and Mombasa between August 15 and November 12, 1905. Mowlana Sultan Mohamed Shah wrote an influential Review which was published in the September issue of the journal "The Nineteenth Century and After" in London. February 1906 - Mowlana Sultan Mohamed Shah visited the Jamat of Poona, India between the 15th and 18th. Simla, October 1, 1906 - Mowlana Sultan Mohamed Shah read out the memorial "A Bill of Muslim Rights" as he headed the first Muslim deputation to Viceroy Lord Minto. This address was prepared by Bilgrami which when read by Mowlana Sultan Mohamed Shah proved to have the most impact as it brought out the constitutional and political changes necessary for the establishment of the All India Muslim League. December 1906 - Mowlana Sultan Mohamed Shah visited San Francisco, California from whence he traveled across the United States of America by train. In New York, Mowlana Sultan Mohamed Shah stayed at the St. Regis where Prince Sadrudin also stayed in later years as an under-graduate at Harvard University. In Washington, Mowlana Sultan Mohamed Shah was received by President Theodore Roosevelt, with whom many economical and political topics were discussed, one of the discussion was on the problems of the Muslim population in the Philippines. Mowlana Sultan Mohamed Shah was elected as the first permanent President of the Muslim League. He resigned after 7 years in 1914. February 1907, when Mowlana Sultan Mohamed Shah was travelling on board ship in the Yellow Sea he wrote an article for the Journal "National Review" which was at the time edited by I.J.Maxse. In this article, Mowlana Sultan Mohamed Shah mentioned how the concept of "Changeless East" was misleading; the discontentment of the masses in India, the Indian press, Berlin-Baghdad railway, the Russian railway, the awakening of China and many other political and economical topics. December 28, 1907 - Mowlana Sultan Mohamed Shah visited the Jamat of Mumbai, India. January - June 1908 Mowlana Sultan Mohamed Shah visited the jamats of Mumbai and Poona. Mowlana Sultan Mohamed Shah married Princess Theresa Magliano, mother of Prince Aly Khan, in Cairo. August 12, 1908, Poona - The first meeting of the Deccan League was held in Poona wherein all the delegates of the important districts and provinces were present. Mawlawi Rafiuddin Ahmad was the Chairman, and at the end of the session he mentioned that Mowlana Sultan Mohamed Shah had accepted the offer of "permanent Presidentship of the League." Mowlana Sultan Mohamed Shah visited Florence Nightingale in London, England. This eminent British woman was at the time a complete invalid and confined to a sofa in her Park Lane home. Mowlana Sultan Mohamed Shah's first son, Mehdi, was born to Princess Theresa Magliano. His life was very brief and Prince Mehdi passed away in February 1911. Mowlana Sultan Mohamed Shah gave an interview which was published in "The Times"(London) on February 15 and in "The Civil and Military Gazette", Lahore (March 14). During this interview, Mowlana Sultan Mohamed Shah talked about the problem of the minorities in India, how the differences between Muslims and Hindus must be recognized, how the two communities must be equally represented politically and socially, and how Hindus cannot speak for the whole of India. February 23, 1909 - The London Muslim League gave a luncheon to meet with Mowlana Sultan Mohamed Shah who unfortunately due to bad health could not attend. Instead, Mowlana Sultan Mohamed Shah sent a letter stating his views. "The Times," London, June 24, 1909 printed the speech that Mowlana Sultan Mohamed Shah had given at the First Annual General Meeting of the London Muslim League. In this speech, Mowlana Sultan Mohamed Shah mentioned the numerical strength of the Muslim population in India, their welfare and progress as seen in the entire Islamic world, the Muslim loyalty to Britain and the Muslim demand for equal constitutional privileges as those being granted to the Indians and other such related topics. On November 15, 1909, "The Times" - London, published a telegram sent by Mowlana Sultan Mohamed Shah endorsing the reforms as stipulated by Lord Morley-Minto. On November 16, 1909 Mowlana Sultan Mohamed Shah sent a detailed letter to "The Times" - London for the confirmation of the brief telegram sent on the previous day. In this letter, Mowlana Sultan Mohamed Shah talked about how the regulations under the Indian Councils Act were not ideal, but the Muslims would respect and accept them. "The National Review" - London, in its December 1909 issue, published an article that Mowlana Sultan Mohamed Shah wrote. January 10, 1910 - A report was presented to Mowlana Sultan Mohamed Shah on behalf of the Anjuman-e-Islam, in Bombay. He presided over the Annual session of the Muslim where both Sunni and Shia sects presented an address to Mowlana Sultan Mohamed Shah and referred to him as their leader. Mowlana Sultan Mohamed Shah replied by saying he was very proud indeed, to be given such an honour. In his reply address, He talked about the duties of a true leader, the difficulties faced by Muslim leadership, the inter-relationships between the Hindus and the Muslims not only in India but in other parts of the world, the need for stability, the importance of education and other important topics. January 25, 1910 - Mowlana Sultan Mohamed Shah was the guest of honour at the MOA College where a garden party was given in his honour and he was made a Life Member of the Club. In reply to the welcome address from the Trustees, Mowlana Sultan Mohamed Shah talked about the objectives and the goals for the Aligarh College, the acknowledgment of the financial contribution from the Princes and Nawabs to the College, the definition of a good Muslim, the European example of self-sacrifice, the question of quantity and quality and other important issues. He also raised his annual grant to Rs.10,000. The speech was also printed in the "The Times of India" - Bombay, on January 27, 1910. January 29, 1910 -Mowlana Sultan Mohamed Shah gave the inaugural Address to the All India Muslim League Third Annual Session in Delhi. In his address, he mentioned the formation of the Muslim League, a separate representation of Muslims in all levels, co-operation and unity between both the Muslims and the Hindus to meet the challenges of education, agriculture, commerce and industry and above all, to stand united in the struggle for equality for the Indians in South Africa and other important related issues. February 20, 1910 - Mowlana Sultan Mohamed Shah visited the Rajkot Jamat. May 1910 - Mowlana Sultan Mohamed Shah gave an interview with the Reuters Agency in London and paid a glowing tribute to King George V and Queen Mary. Mowlana Sultan Mohamed Shah had come to London to attend the funeral of King Edward VIII. The interview was also published in "The Civil and Military Gazette, - Lahore" June 3, 1910. December 23, 1910 Interview with "The Times of India" which was printed in "The civil and Military Gazette", Lahore on December 25, 1910. Mowlana Sultan Mohamed Shah talked about the importance of the unity between Hindus and Muslims and the ways of maintaining this harmony, the forthcoming visit of the King to India, the mosque in London, and an opportunity of creating a Muslim University. January 1911 - London. Mowlana Sultan Mohamed Shah wrote an article paying tribute to Lord and Lady Minto - their achievements and some omissions, such as the implementation of a Cadet Corps, and he also talked about issues relating to the Muslim rights and interests, reasons for reforms and relations with Afghanistan. A lecture was given by Mowlana Sultan Mohamed Shah called, "Muslims of the British Empire." It was printed in "The Times Of India", Bombay, 22 July, 1911. A brief report was carried by "The Time", London, 4 July 1911. 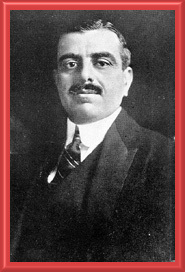 July 1911 - Mowlana Sultan Mohamed Shah wrote an article in ‘National Review' on the potent power of India. He wrote, "Educate, educate, educate. Look for a passing moment at the question of manpower. India could put troops into South Africa as quickly as they could be sent from England, she could land soldiers in Australia long before England could do so and forces from India could reach western Canada..."
December 4 1911 - Mowlana Sultan Mohamed Shah gave an inaugural speech at the All India Muhammedan Educational Conferences, printed in "The Times of India", Bombay, 5 December 1911 and "The Civil and Military Gazette", Lahore, 6 December 1911. 1911 - Mowlana Sultan Mohamed Shah organised the collection of Rs. 3,000,000 for Aligarh University. Mowlana Sultan Mohamed Shah was awarded the title of G.C.S.I - Knight Grand Commander of the Order of the Star of India. This investiture was held in Delhi and attended by British royalty, was the highest possible decoration that could be bestowed upon any Indian subject. In recognition of the services during World War I, King George granted Mowlana Sultan Mohamed Shah a salute of eleven guns and the status of a Ruling Prince for Life. In autumn Mowlana Sultan Mohamed Shah visited Tsar Nicholas II of Russia who was the cousin of King George V.
Mowlana Sultan Mohamed Shah also called a Hindu-Muslim Unity Conference at Allahabad. March 8, 1912 - Mowlana Sultan Mohamed Shah gave an interview about the need for a Muslim University, with "The Times of India", Bombay. December 1912 - Mowlana Sultan Mohamed Shah sent a cablegram to the Rajah of Mahmudabad, appealing the Indian Muslims to help the refugees of the Balkan War. It was printed in "The Times of India", Bombay, 9 December 1912. February 13, 1913 - Mowlana Sultan Mohamed Shah wrote an article printed in "The Times of India", Bombay, 14 February 1913, and a brief summary was also printed in "The Times", London. February 23, 1913 - Mowlana Sultan Mohamed Shah gave a speech at a Function in Honour of the Deputation of the Hindu University on the necessity of having Hindu Universities in India. He gave reminder of his own suggestion for two Hindu universities twelve years ago, a room for movement of intellectual variety. He said that he hoped that new universities would be able to produce eminent literary men. It would enable them to develop every side of men, intellectual, spiritual and religious and turn out more tolerant and loving Indians, anxious to sacrifice their lives for the good of their fellow citizens. ( 410) The speech was published in "the Times of India", Bombay, 24 February 1913. July 14, 1913 - London: Mowlana Sultan Mohamed Shah gave a speech at the 5th Annual Meeting of the London Muslim League. He spoke of the Indian Muslim youth in England, relations between Turkey and Britain, Muslim solidarity, the importance of education, relations between different races in India, potential influence of sports and the leaders of the future. On 31 October 1913, "The Times" had announced that Sayyid Ammer Ali was retiring from the Presidentship of the London Branch of All India Muslim League. November 2, 1913 - Mowlana Sultan Mohamed Shah sent a letter to Sayyid Ammer Ali, announcing his resignation from the All India Muslim League Presidentship. December 10, 1913 - Mowlana Sultan Mohamed Shah gave a speech at a meeting held to protest against the treatment of Indians in South Africa. It was published in "the Times of India", Bombay, 17 December 1913. 1914 January - Mowlana Sultan Mohamed Shah wrote an article "The Indian Muslim Outlook" which was published in the "The Edinburgh Review" - Edinburgh, London January 1914. Mowlana Sultan Mohamed Shah attended the Muslim League Conference at Lahore and was received with a rousing welcome. Mowlana Sultan Mohamed Shah visited Burma and advised his followers on social and cultural assimilation with the Burmese and to adopt Burmese names, customs and habits. February 6, 1914 (Friday) - Morning: Mowlana Sultan Mohamed Shah, on board the Arankola, arrived in Rangoon in the morning with his personal staff; Mr. Allibhoy Mohammad. He was met at the port with Reception Committee and the dignitaries of both the Ismaili Communities as well as Government dignitaries, and Muslim elders. February 6, 1914 - Mowlana Sultan Mohamed Shah was present at a reception where he gave a reply to an address of Welcome by the Muslim Community of Burma. This address was printed in "The Rangoon Gazette," on February 9, 1914. February 13, 1914 -Mowlana Sultan Mohamed Shah was given a grand reception by the leaders of the Indian communities residing in Burma at the Jubilee Hall at approximately 5 p.m. The Honourable U. Hpay was voted to the chair, and he started the proceedings. The address of welcome was read by U. May Oung (which was later printed in the "The Rangoon Gazette," on February 16). The address was then enclosed in a silver casket surmounted by a golden peacock and was then presented to Mowlana Sultan Mohamed Shah. October 1, 1914 London, a meeting of the Indian Volunteers Committee was held at the Polytechnic, Regent Street. Mr. M.K. Gandhi, the Chairman of the Committee in his opening remarks, announced that Mowlana Sultan Mohamed Shah had just handed him a cheque for 200 pounds to be used for providing extra comfort for the corps at the front. November 2, 1914 - Mowlana Sultan Mohamed Shah sent a message to the Indian Muslims on Turkish entry into the War. It was printed in "the Times", London, 4 November 1914. April 1916 - The King-Emperor of Britain bestowed the rank of a First Class Prince of the Bombay Presidency together with a salute of 11 guns on Mowlana Sultan Mohamed Shah. Two assassination attempts by Germans were made on Mowlana Sultan Mohamed Shah's life. A bomb was thrown at him in Lucerne, Switzerland and his coffee was also poisoned. However the bomb failed to go off and Mowlana Sultan Mohamed Shah never drank the coffee. Mowlana Sultan Mohamed Shah was also awarded with the degree of LL.D by the Oxford University. March 7, 1919 - Mowlana Sultan Mohamed Shah delivered a speech at a banquet hosted in honour of Lord Sinha in London, where he made tribute to E.S. Montagu and Lord Sinha. October 10, 1919 - Mowlana Sultan Mohamed Shah gave evidence before the joint select committee on the Government of India Bill. He spoke of the making of the 1919 reforms. December 12, 1919 - London: Mowlana Sultan Mohamed Shah delivered a memorial to the Prime Minister of England on behalf of His Majesty's Muslim Subjects, where he spoke of the dimensions of the Turkish problem. December 19, 1919 - Mowlana Sultan Mohamed Shah delivered a speech at a dinner in honour of E.S. Montagu, in London at the Savoy Hotel, to celebrate the passing of the Governemnt of India Bill in appreciation of E.S. Montagu's services to India. Due to the efforts of Mowlana Sultan Mohamed Shah, Aligarh College was upgraded to the status of University. November 5, 1920 - Mowlana Sultan Mohamed Shah wrote a special article, headlined "British Policy in the East: The Aga Khan's Protest: What Indians are Thinking: A Reasoned Warning" for "The Times", London.